As far as denim goes, there are pretty much two camps of thought. Either you constantly search the web for the most recent drop of your favorite brand's new pairs, or you're a die-hard vintage buyer who won't even look at a new pair. If you fall into the latter category, what we're about to say next will go against your entire outlook toward denim shopping, but we promise it's worth the disruption. Many have tried before to re-create the way vintage jeans fit, their thick material, and so many other seemingly impossible-to-capture details. What sets the brand B Sides apart from the rest is its relentless search for "stretch that doesn't look like stretch" which led them to a "family-owned mill in Georgia, founded in 1845, that carried a thick, slubby indigo twill with stretch—a decades-old material kept in production solely for manufacturers of farm gear," as Vogue reports. Thus, the brand found a way to create new jeans with a vintage denim feel. Not only that, but pairs retail at affordable price points too: A "modern tailored blue jean, in a bright, cool shade" will run you $100. 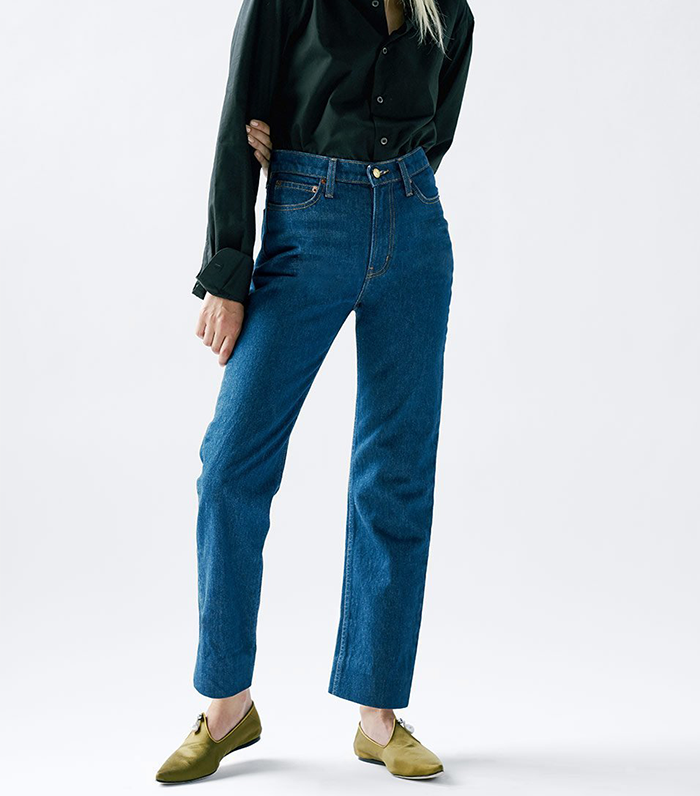 Not bad in today's highly saturated jeans market. There's something refreshingly honest about a denim company that demands quality in every step of the process and hardly blinks an eye at the trend cycles that dominate. Keep reading to shop a pair of B Sides vintage-inspired jeans. Next up, the denim style that looks good on everybody, according to a stylist.